Why is anti-aging skin care a significant concern with today’s population? Well, quite simply, it is because of the numbers. The baby boomers (individuals born between 1946 and 1964) are collectively aging. 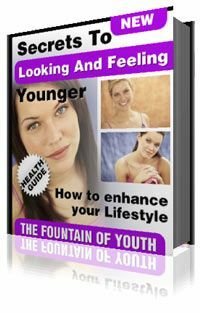 This means that there is a very large segment of the population showing the signs of aging. Skin is one of the body’s elements that reflects this in a dramatic way. Therefore, a lot of emphasis is being placed nowadays on anti-aging skin care treatments and products. As our bodies age, our skin also ages and like the rest of our body, it is impossible to stop the skin aging process or reverse it. However, with proper care, skin aging can be slowed and visible effects reversed to some degree. It is possible to have healthy and younger looking skin. The signs of aging skin are very noticeable in an elderly person, but the onset of these symptoms is evident in younger people as well. Basically, symptoms of skin aging can be split into the following age categories: pre-teen, 13 to 20 years, 20 to 30 years, 30 to 40 years, 40 to 55 years, and greater than 55 years. So, there is no big surprise here, your skin ages. What can be done about it? Before discussing which anti-aging treatments are necessary, it is important to understand the causes of skin aging. What factors are responsible? There is no single cause that leads to older looking skin, but rather a combination of many day-to-day factors such as the sun that individuals are subjected to. For a look at the causes of skin aging, please visit this page. Once the causes of skin aging are understood, the next logical step for anti-aging skin care is prevention. Prevention is the most effective of all treatments. Remember this old saying – an ounce of prevention is worth a pound of cure. No doubt, this is true for your skin. Anything you don’t do right in your younger years with your skin, will end up costing you a lot of anxiety, effort, pain, and money later on, as you age. This is why it is important, or perhaps it should be said with more emphasis, VERY IMPORTANT, to follow proper anti-aging skin care precautions. These precautions should be adhered to as early as possible in a person’s life, so that the skin can maintain it’s youthful beauty and health for many years. Prevention is important even if the skin has aged, in order to limit further damage. It should not be taken for granted at any time. Unfortunately, history and experience tells us that even for people who are extremely careful with avoiding the causes of skin aging, it is not possible to stop it. It will occur to some degree. The good news is that many anti-aging skincare treatments are available. The treatments are generally focussed on the face and hands because these are the areas of our skin that are exposed to the aging elements day after day. The facial area and hands are also the most visible parts of our skin and therefore, tend to get the most attention. Effective anti-aging skin care treatments are an essential aspect to obtaining good overall skin health. What are the options available for anti-aging skin care treatment? There are several possibilities, from basic to more costly, complex, and painful. For the basic anti-aging skin care treatments, the decision of which to use is fairly easy. Try a variety of products until you find one that provides the results you are satisfied with. Not all products work. Some products may work, but not specifically for you. However, there are some very effective products available that can provide great results without having to endure a lot of pain. A reasonable amount of experimentation is the key. For the more complex options, you should consult with your doctor, a dermatologist, or a plastic surgeon to determine which treatment is right for you. Effective wrinkle treatment. Make your skin look younger and healthier. Specially priced at healthy-skincare.com. Microdermabrasion, Chemical Peel, Laser Rejuvenation, etc. The above information and links discuss the aging of skin in general. By far, the biggest concern for individuals is facial skin aging and anti-aging skin treatments for the face. For specific treatments for facial skin care please visit the following face skin care link. Five Common Skin Problems, Answered! Habits to Break and Habits to Maintain for Dazzling Skin. Plastic Surgery Portal offers resources on some of the top anti-aging treatments available. Research cosmetic treatments that can help turn back the hands of time or schedule a consultation with a plastic surgeon near you.